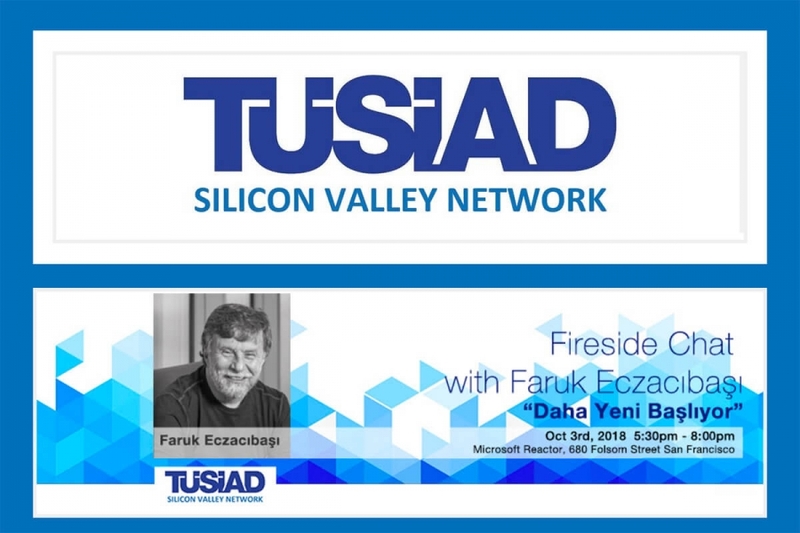 TÜSİAD SILICON VALLEY NETWORK INVITES YOU TO OUR FALL GATHERING EVENT! TUSIAD Silicon Valley Network invites you to our fall gathering event! Please join us for a fireside chat with Faruk Eczacıbaşı, President of the Turkish Informatics Foundation and Vice Chair, Eczacıbaşı Holding on his book: Daha Yeni Başlıyor. This event will be a unique opportunity for our members to gain first-hand insights from Mr. Eczacıbaşı. The fireside chat will be followed by a networking reception. Faruk Eczacıbaşı is the President of the Turkish Informatics Foundation (TBV), which was founded in 1995 to assist Turkey in its transformation to an information society. In this role, he has helped to prepare various research reports and contributed to the shaping of public policy. Mr. Eczacıbaşı has been the Vice Chairman of the Eczacıbaşı Group since 1996. He began his professional career in the planning department of the Eczacıbaşı Group in 1980 and has since served in various positions across the organization. Faruk Eczacıbaşı is also the President of the Eczacıbaşı Sports Club, a position he has held since 1999. Born in Istanbul in 1954, Mr. Eczacıbaşı is a graduate of the Istanbul German Lycee and Berlin Technical University where he earned his undergraduate and MBA degrees.